Palo Alto Networks Unit 42 has identified attacks with a new custom Remote Access Trojan (RAT) called UBoatRAT. 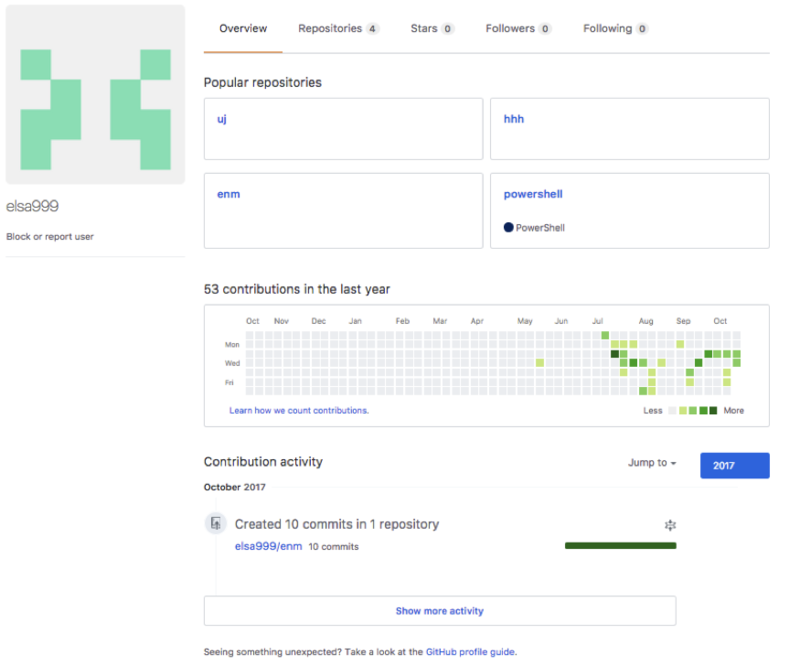 The initial version of the RAT, found in May of 2017, was simple HTTP backdoor that uses a public blog service in Hong Kong and a compromised web server in Japan for command and control. The developer soon added various new features to the code and released an updated version in June. The attacks with the latest variants we found in September have following characteristics. Uses Microsoft Windows Background Intelligent Transfer Service(BITS) to maintain persistence. We don’t know the exact targets at the time of this writing. However, we theorize the targets are personnel or organizations related to Korea or the video games industry. One of the reasons for the hypothesis is the file names used by the attacker when delivering the malware. We see Korean-language game titles, Korea-based game company names and some words used in the video games business on the list. Another reason is that UBoatRAT performs malicious activities on the compromised machine only when joining an Active Directory Domain. Most home user systems are not part of a domain, and as such would not be impacted the same way. Below are some of the file names associated with UBoatRAT deliveries. The first three file names are written in Korean and only includes the general business topics. Last one contains unreleased game title, “Project W’ and the Korean-based video game company’s name. We observed multiple variants of UBoatRAT delivered from Google Drive. Not all of the links were active at the time of our analysis, but some (including the one below) were. 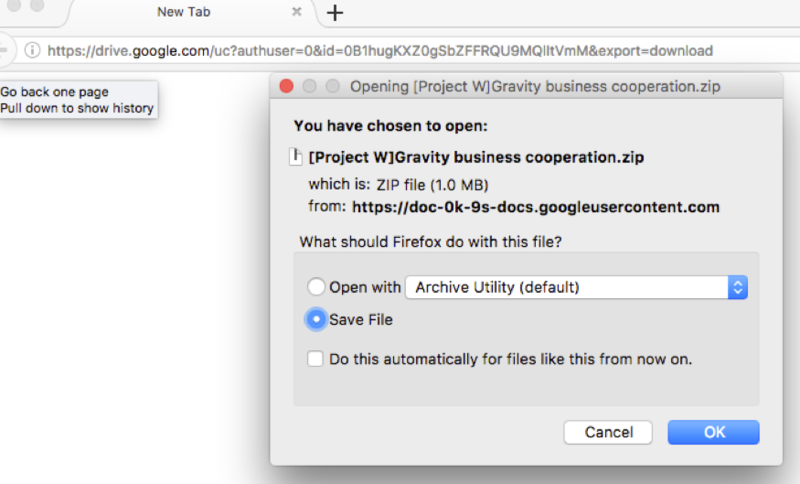 The zip archive hosted on Google Drive contains the malicious executable file disguised as a folder or a Microsoft Excel spread sheet. The latest variants of the UBoatRAT released in late July or later masquerade as Microsoft Word document files. When executed, the UBoatRAT checks for the following two conditions on the compromised machine. Detecting virtualization software such as VMWare, VirtualBox or QEmu. If the RAT detects virtual environment or fails to get the domain name, it displays following fake error message and quits. Otherwise, UBoatRAT copies itself as C:\programdata\svchost.exe, creates C:\programdata\init.bat and executes the bat file. Then displays the following message and quits. UBoatRAT achieves persistence by using Microsoft Windows Background Intelligent Transfer Service(BITS). BITS is a service for transferring files between machines. Though the most famous application using the service is Windows Update, other applications or users can take advantage of the component. Bitsadmin.exe is a command-line tool user can create and monitor BITS jobs. The tool provides the option, /SetNotifyCmdLine which executes a program when the job finishes transferring data or is in error. UBoatRAT takes advantage of the option to ensure it stays running on a system, even after a reboot. The following is the contents of the init.bat. At the second line, the local file net.exe is specified to transfer to %temp%.log. After completing the copying the local file, BITS executes the UBoatRAT file configured with /SetNotifyCmdLine at the third line. The BITS job keeps executing the malware periodically even if the computer reboots. To remove the job from the queue, BITS needs to call Complete or Cancel explicitly. According to the article from Microsoft, the job remains 90 days by default if you don’t call Complete or Cancel. The malware accesses the URL and decodes the characters between the string “[Rudeltaktik]” and character “!” using BASE64. “Rudeltaktik” is the German military term which describes the strategy of the submarine warfare during the World War II. In the case below, the string can be decoded to 115.68.49[.]179:80. UBoatRAT uses a custom command and control protocol to communicate with the attacker’s server. The malware places the string ‘488’ (0x34, 0x38, 0x38 in HEX) at the top of the payload or instruction and encrypts the entire buffer with the static key 0x88 by using simple XOR cipher. Then the network payload always starts with 0xBC, 0xB0, 0xB0. We assume the attacker picks ‘488’ from one of the German submarines because the author calls the RAT UBoat-Server. After establishing a covert channel with C2, the threat waits following backdoor commands from the attacker. At the time of this writing, we have identified fourteen samples of UBoatRAT and one downloader associated with the attacks. Most of UBoatRAT samples retrieve C2 address from GitHub as described above. Only one sample released in May connected to public blog service in Hong Kong and compromised legitimate web server in Japan as C2. The sample uses regular HTTP protocol for communication. The account for the blog, ‘elsa_kr’ has existed since April 2016 and has no meaningful contents at this moment. The author released a new version employing various new features in June. The early version of this new version obtains a C2 address from the repository ‘uuu’ owned by the GitHub account ‘elsa999’. At the time of this writing, the ‘uuu’ repository has been deleted. It has since been replaced by three other repositories (‘uj’, ‘hhh’ and ‘enm’) all hosting an encoded combination of IP address and port in the account. According to the file history, the author has frequently been updating these files since July. After performing a quick analysis, we concluded these three repositories are for development and testing purpose for following reasons. They use the different marker ‘###NEWS###’, instead of ‘[Rudeltaktik]’. The encoded global IP addresses are different from known UBoatRAT samples. The author always changes the encoded address back to localhost(127.0.0.1) in short period. The ‘elsa999’ user also has the following three PowerShell scripts in their repositories. These scripts are written by other authors for penetration testing. Though the latest version of UBoatRAT was released in September, we have seen multiple updates in elsa999 accounts on GitHub in October. The author seems to be vigorously developing or testing the threat. We will continue to monitor this activity for updates. I was not sure where to contact you, so I am gonna leave a comment here. On a day-to-day basis, I translate news articles on cyber security in my blog. I hope it was fine with you, and let me know if there are any issues.